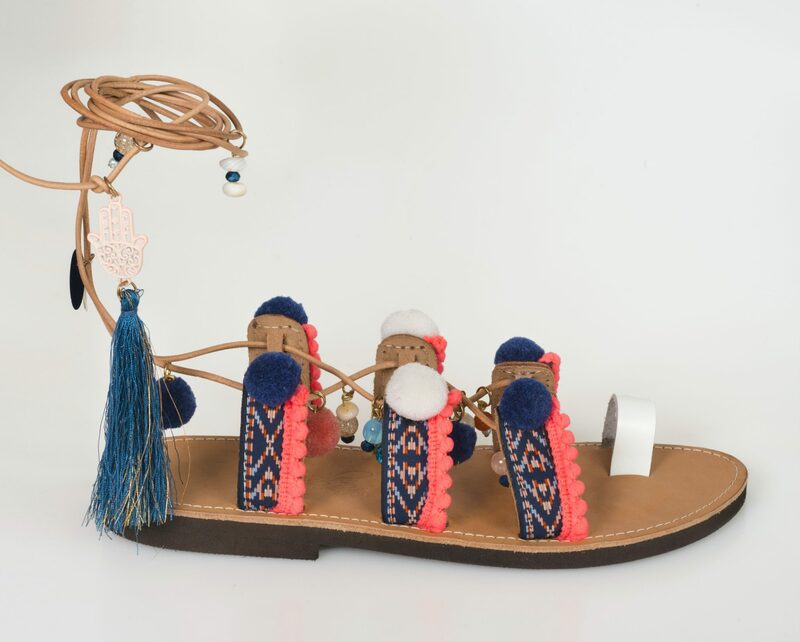 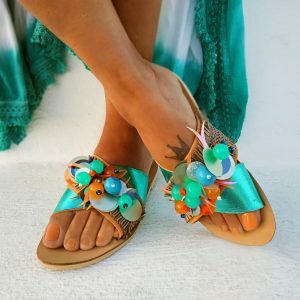 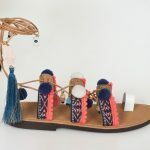 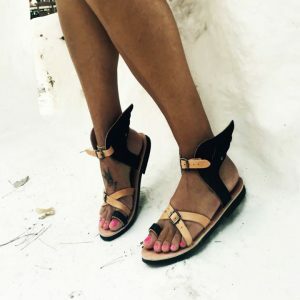 A summer-fresh decorated lace-up genuine leather sandal all handmade embellished with semiprecious stones, pom pom and tassels . 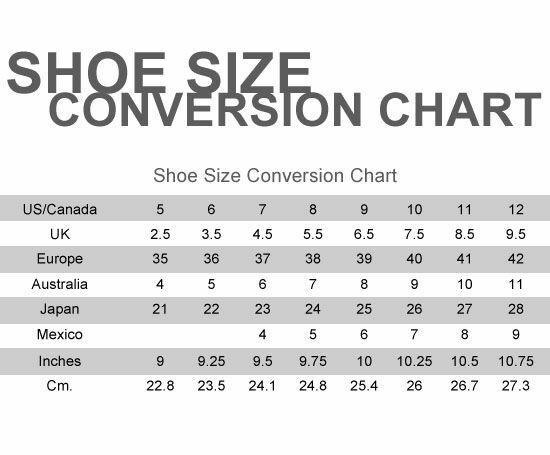 As a finish high quality anti-slip rubber sole at bottom makes an easy feel to wear it. 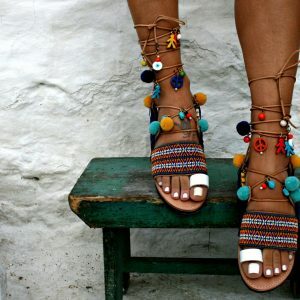 Boho and chic influences to attract any eye on your feet .